Most sought after development in the area - 51 units on 8.5 acres. 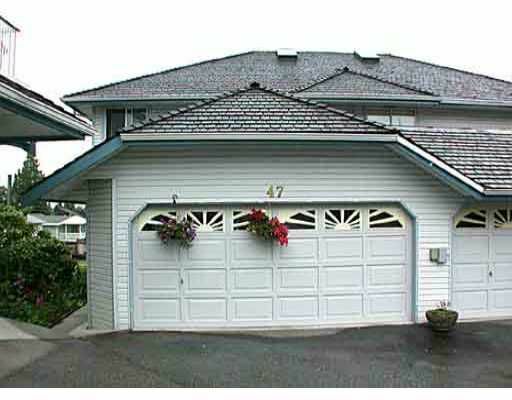 Spacious 3 bedroom end unit - over 2100 sf. Duplex style townhouse - more like a house than a townhouse. Surrounded by lots of grass and a djoining greenbelt areas giving a completely private rear yard. Double garage with room for workbench and freezer. Security system. Bright tiled entry. Main living, kitchen and powder room on entry level. 3 bedrooms upstairs - master has huge sitting area, his & hers custom organizer closets and roomy 4 pce ensuite w/soaker tub, skylights in ensuite and main bathroom. Living room has mantled gas fireplace. Kitchen has abundance of cupboards and adjoining family room with eating area. Full daylight walkout basement, partially finished with 4th bathroom. Screens throughout. New hot water tank. New clean air s y stem in furnace. Covered patio off family room in basement, deck off living room, New and newer carpets and vinyl on main and stairwells/foyer. Fresh paint throughout. Glen 220-4408.